There is nothing in the world that compares with the experience of being with someone who truly knows us. 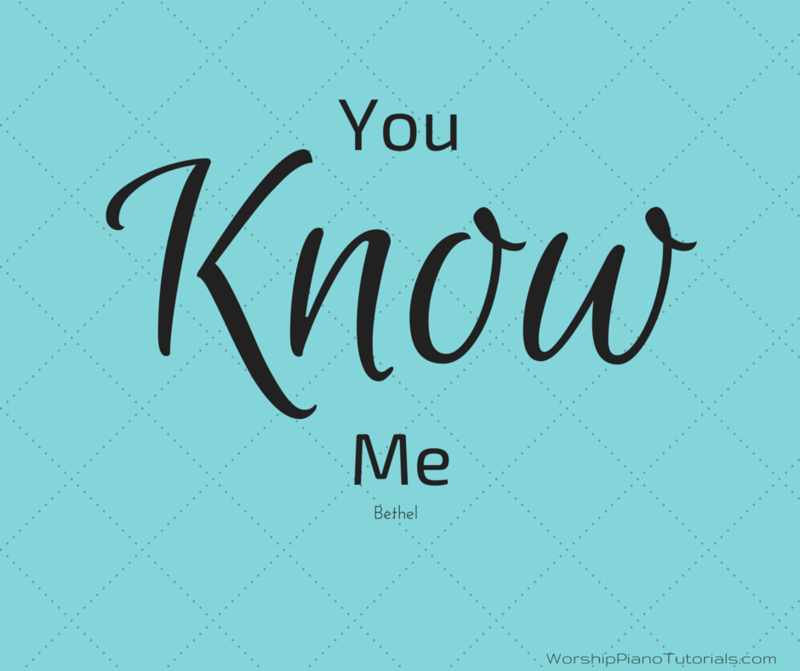 Think about what it is like for those of you who have a brother or a sister, or a spouse or a parent or a dear friend of whom you can say: “he/she knows me better than I know myself. You leave a party together, and the other knows what you liked about a particular part of a conversation. You watch a movie together, the other knows without being told, what you you loved about a particular scene in the movie. When you’re sick or sad or frightened they know what you need. They know your habits – where you’re likely to be at what hour of the day. It is a wonderful thing to be known in this way. But it can also be fearful. When someone knows you intimately, there is nowhere to hide. You can’t pretend you didn’t know that thing that she hates. You can’t pretend you didn’t know when her birthday was or that she wanted you to rent a romantic movie like “La La Land,” and you came home with “Braveheart” or “Hacksaw Ridge.” She knows that you know. In a similar way, God’s knowing of us is a fearful and wonderful thing. “You know when I sit down and when I rise up. You discern my thoughts from far away. Even before a word is on my tongue, O Lord, you know it completely” (Psalm 139:1-4). God knows everything about us, our thoughts our feelings, the things that give us joy, the things that scare the daylights out of us. And God’s knowing of us extends back to the very beginning of our life and who we were meant to be. The psalmist says this about God: “My frame was not hidden from you…Your eyes beheld my unformed substance. In your book were written all the days that were formed for me, when none of them as yet existed” (Psalm 139:15-16). God knew us even before we were born, when each of us were just a twinkle in our parents’ eyes. God’s knowing of us is wonderful. And God’s knowing of us is fearful, too. There are parts of this psalm that the lectionary advises us to skip over, parts we would rather not read because they speak of feelings and attitudes we would prefer not to acknowledge in ourselves. Just beyond the verses we read we hear this: “O that you would kill the wicked, O God … Do I not hate those who hate you, O LORD? … I hate them with perfect hatred; I count them my enemies” (Ps 139:19, 21-22). God sees those ugly parts of ourselves that hang on to bitterness, to anger, to hurt. God knows the parts of us that could envision, even if for just a moment, doing violence to someone, making our hate for them a centerpiece of our moral vision. God knows all this. God’s knowing of us is wonderful and fearful. God knew Samuel in just this way. God knew all about Samuel’s beginnings: about his brokenhearted mother Hannah, unable to conceive, and how she prayed – her lips moving but no sound coming out, so that the priest, Eli, thought she was drunk. God knew about Hannah’s vow to dedicate her son to God, should she have one. One biblical definition of a tithe is to give your firstborn to God, and Hannah did just that. When Samuel was old enough, she brought him to the temple to work as an apprentice under Eli, to learn to be a priest, and a teacher and preacher of God. And God knew the plans he had for Samuel, because something was not right in the world. That’s often how God’s call works – God calling us, to make this world a little more like God intends it to be. Here was the problem: Eli was good and faithful, but his sons were corrupt, and God had enough of them. God knew them, too. God knew they were abusing their power, and they weren’t teaching the people about God. And God had another vision in mind for his servants. So God called Samuel; in the silence of the night, God called him. What is God saying to your heart or to your mind? A good practice for us, suggested by this Bible lesson, is to say, “Speak, Lord, for your servant is listening,” and then to be still and quiet – maybe even close our eyes. Christians have done this for centuries. Some call it quiet time, or contemplative prayer, or meditation. We just might be surprised. We just might sense God calling us. God knows us in ways that are wonderful and fearful, and God’s call can be wonderful and fearful too. Sometimes the work to which God calls us may be difficult. We may be called to speak a hard truth to a friend, or to love a stranger, or to raise a difficult child, or to patiently listen to someone’s story of hurt and pain, or to help someone in their time of need. It’s not all sunshine and rainbows for the servants of God. I think of a man I met a few times at our Southeastern Minnesota Synod assemblies. His name is Wal Reet. He came to Minnesota as a refugee from South Sudan. He sensed the call of God, and went to seminary and received his ordination in our Synod as a pastor. Now he is a missionary to South Sudan for the ELCA. Jesus called his first disciples saying, “Follow me.” And Jesus had work for them to do. IN our gospel lesson from John’s gospel, Nathanael was surprised that Jesus knew him, but we should not be surprised. Jesus knows our names, loves us, makes us members of his kingdom, and he calls us just like he called those first disciples. Jesus has work for us, as well. I think it requires a kind of openness on our part that can say, “Speak, Lord, for your servant is listening.” It may take a season of listening before we sense what God may be saying to us. The good news is this: God knows us and God promises that he will be with us as we answer his call. He will not leave us or forsake us. And this too is a wonderful and fearful thing, because God knows the things we love that may get in the way of us answering his call. God knows the changes he is asking us to make. God knows how making changes in our life can ruffle a few feathers – our own and perhaps those around us. But God’s love for us is strong – we see this most clearly in his Son, Jesus. And wherever we are, God is still there – still with us, still loving us, still calling our names, and still waiting for us to answer his call.